Longtime customers describe what they love about the place that's become a Portland institution. If you could travel back in time to the first day of business at Standard Baking Co., you wouldn’t find the long lines that often snake out the door in 2015. On April 25, 1995, when the bakery was in its original location on Wharf Street in the Old Port, it had no sign outside and no cash register inside. There were no business hours and no locks on the door. Alison Pray and Matt James, the owners and partners in work and life, didn’t even know on that first day that they would end up with a retail business. 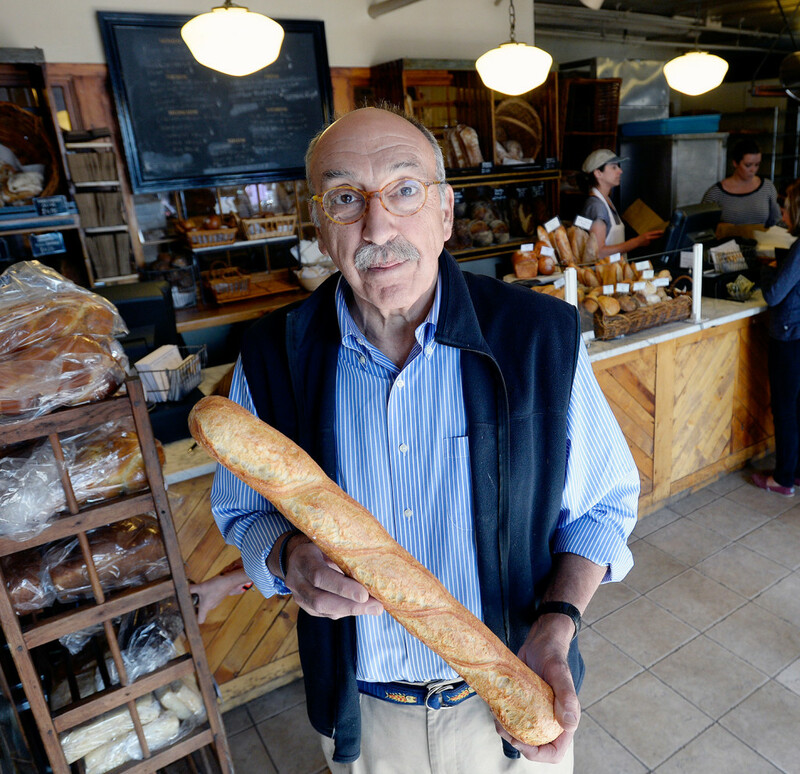 Now, in its 20th anniversary year, Standard makes 200 to 300 baguettes a day, plus dozens of other breads, rolls and pastries, and they have 40 employees. The bakery moved to its current location in 1999. When you talk with Pray and James about why they opened a bakery in the first place, they mention France as their inspiration and how bakeries there are at the heart of their communities. So to mark Standard Baking’s birthday, we talked with members of its community – longtime fans – about their love for the place and its traditional, often irresistible products. Joan Leitzer is a bread head. 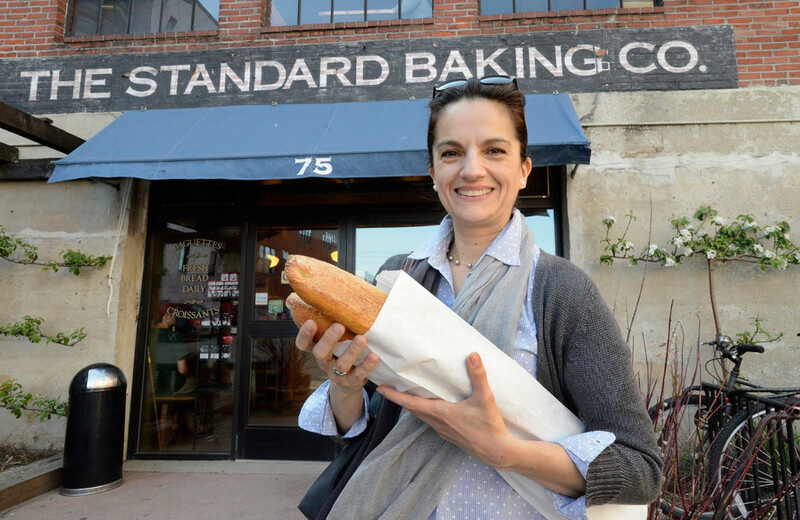 For 20 years, the Portland resident has visited Standard Baking several times a week to pick up her favorite loaf of the moment. 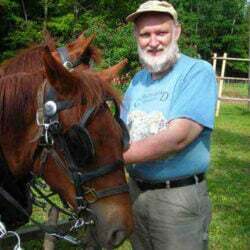 Leitzer, a 67-year-old psychiatrist who also has a master’s degree in nutrition, likes any of the dark whole grain breads the bakery produces. The triangular hominy whole wheat bread is perfect for toast, so she slices the loaf and freezes it so none will go to waste. But just because Leitzer is health conscious doesn’t mean she can resist the gooey insides of a chunky chocolate rye cookie. On Fridays, when she goes the The Language Exchange in Portland for le petit dejeuner francais, her contribution to the breakfast gathering is Standard Baking’s pain au chocolat. There’s often a longer line on Friday mornings, she said, but the bakery staff takes the edge off the wait by walking down the line handing out samples. 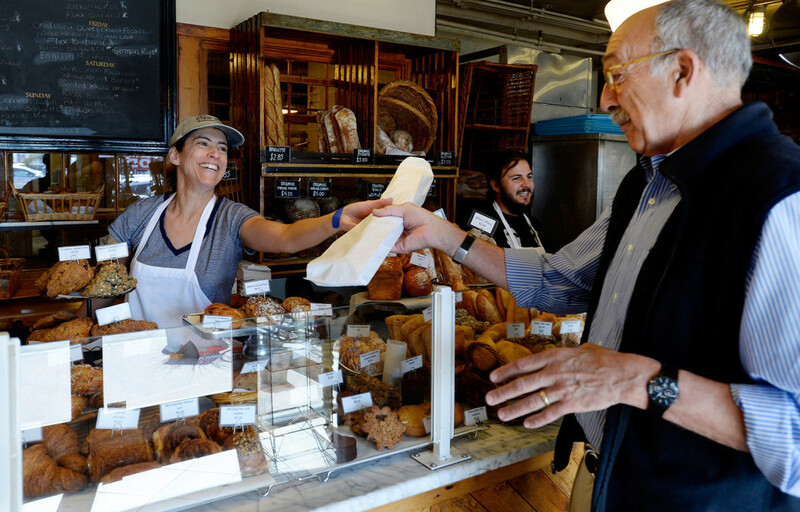 Michelle and Harvey Rosenfeld of Cape Elizabeth weren’t the bakery’s first customers, but they were close. The retired couple started visiting when the only thing coming out of the oven were baguettes. The Rosenfelds still visit the bakery a couple of times a week, every week. Ask about her favorite thing, and Michelle Rosenfeld finds it hard to stop listing items. But wait, she’s not finished. 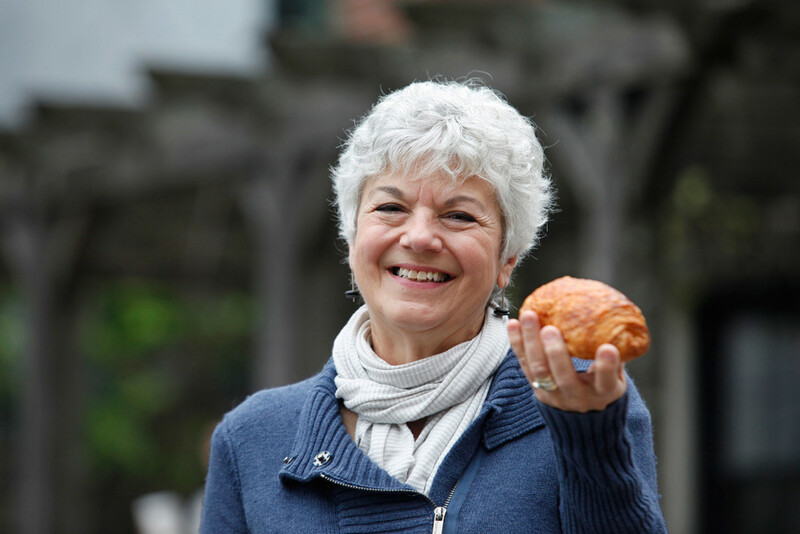 The first thing Judy Paolini does when she gets off the ferry from Long Island at 7:20 a.m. is stop at Standard Baking Co.
That’s what she buys on Mondays, Tuesdays and Wednesdays. On Thursdays, she buys a cranberry-walnut scone, crunchy on the outside and dense on the inside. Fridays are reserved for pain au chocolat. Unfortunately for Paolini, the gibassier disappears around Memorial Day. (She subs in the cranberry-walnut scone in summer.) Last year, she bought a dozen of the French pastries to hoard in her freezer, but this year she’s decided to go cold turkey. 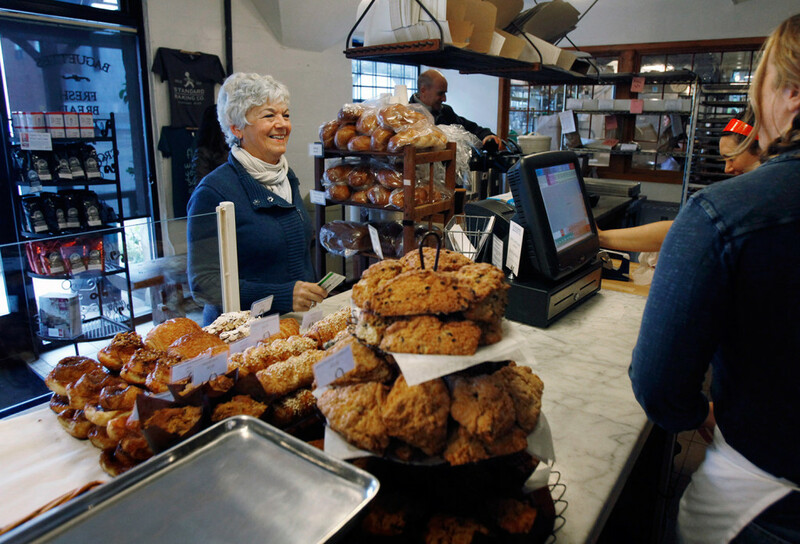 Daily visits to the bakery could affect her waistline, but Paolini, 61, has set her priorities. 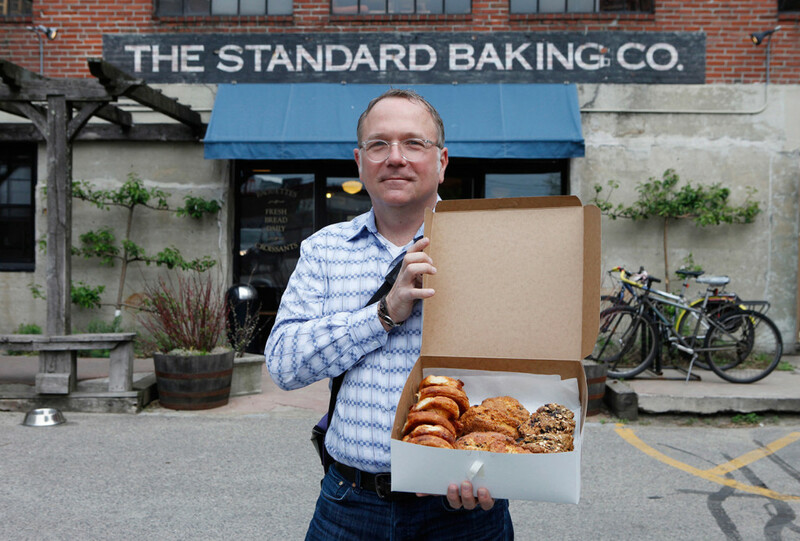 James Robbins of Portland has visited Standard Baking Co. every morning he’s in town for at least the past five years. But he rarely buys anything to eat. He goes in for a cup of Coffee By Design dark roast with a splash of milk. 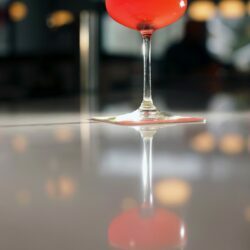 He admits he does fall off the wagon once in a while. 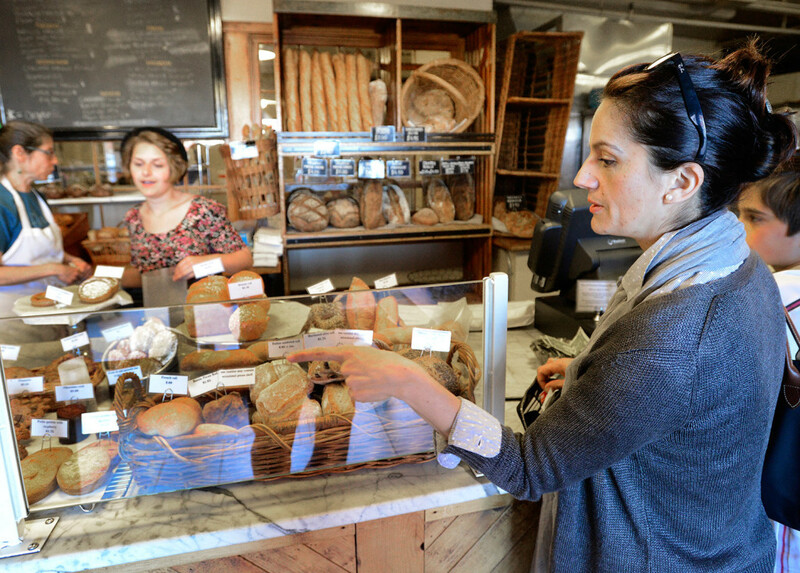 Sonia Medina is practically a legend at Standard Baking Co. She’s been coming into the bakery every day since the day it opened to buy a baguette. “It is my daily bread, pun intended,” said the 45-year-old, who teaches French and Spanish at Cape Elizabeth High School. Medina was born and raised in Paris. 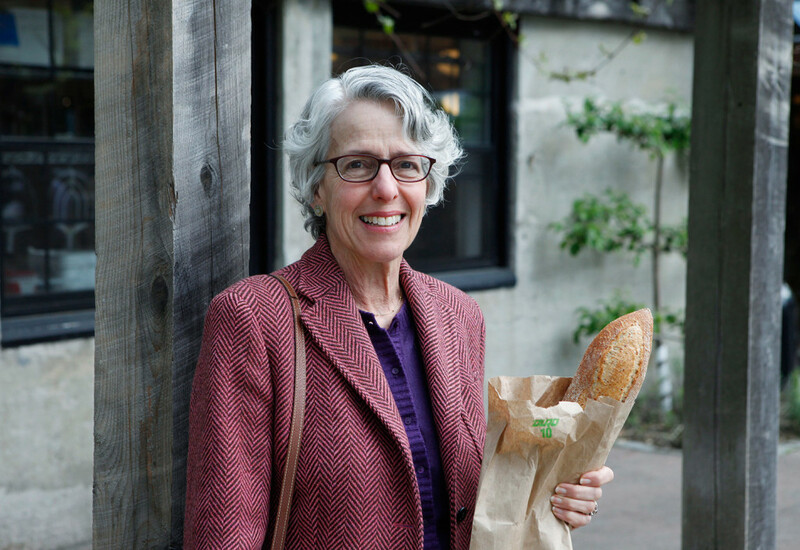 When she and her husband first moved to Maine, she had trouble finding some of foods they took for granted in Europe – good yogurt, for example, a variety of fine cheeses, and bread that wasn’t mass produced. One day in 1995 she was shopping at the Green Grocer, a specialty market that used to be on Commercial Street, “and I saw someone with a baguette, and my eyes just popped out,” she said. Medina followed the man until she got a chance to ask him where he bought the bread. Off she went in search of Wharf Street and a bakery that was still so new there was no sign out front. When you move from one country to another, Medina explained, food helps you adjust to a new culture and eases homesickness. In Paris, she had eaten good bread every day, starting her day with a piece of toasted baguette with jam and butter. Lunch might be a sandwich made with a baguette, an afternoon snack a baguette with chocolate in it. 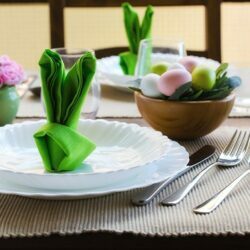 And at dinner, a baguette was usually on the table. Medina still visits every afternoon, but now that she has a teenager and an 11-year-old, she buys two baguettes.